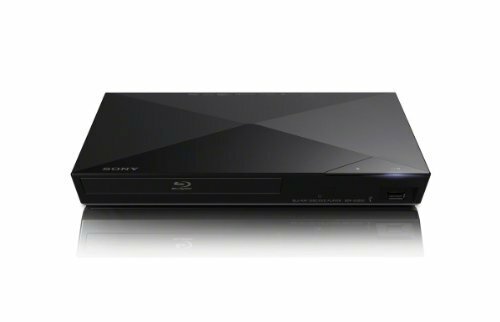 Enjoy your favorite movies with this Sony BDPS3200 smart Blu-ray player, which delivers striking visuals with up to 1080p resolution. Built-in Wi-Fi enables simple connection to your home network for easy access to a wide array of streaming content. HDMI cable not included. High-speed HDMI cable is the only connection that can deliver a Blu-ray experience with a full 1080p picture and digital surround sound. Enables simple wireless connection to your home network. For wired connection to streaming content and firmware updates (Ethernet cable not included).